Except, Stella's life has suddenly turned into a cheesy love song. 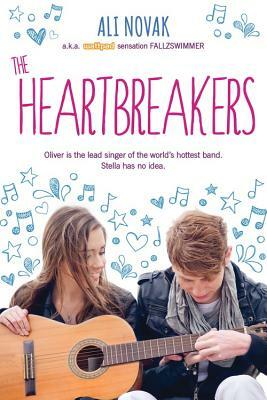 Because Starbucks Boy is Oliver Perry - lead singer for the Heartbreakers. And even after she calls his music crap, Oliver still gives Stella his phone number. And whispers quotes from her favorite Disney movie in her ear. OMG, what is her life? But how can Stella even think about being with Oliver - dating and laughing and pulling pranks with the band - when her sister could be dying of cancer?